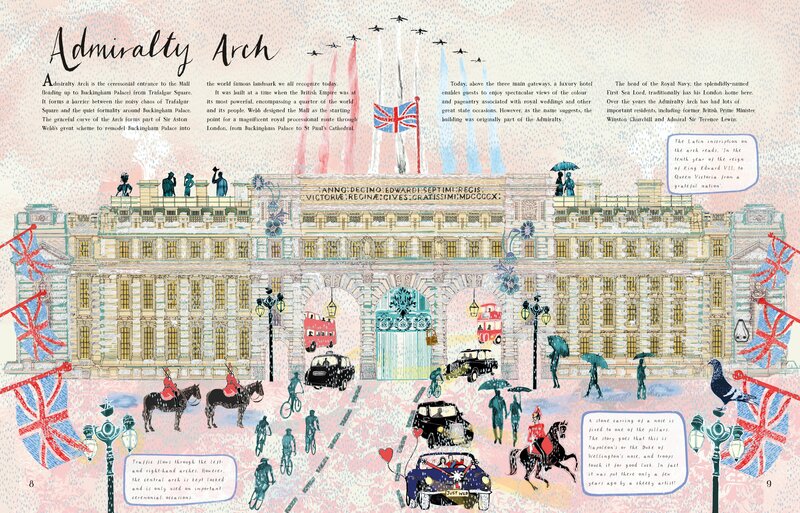 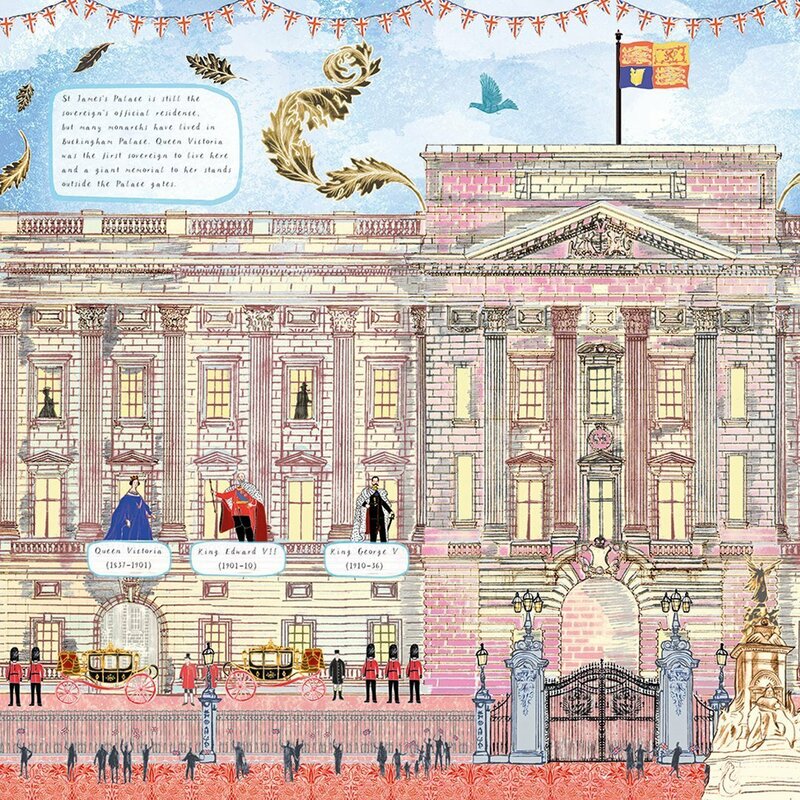 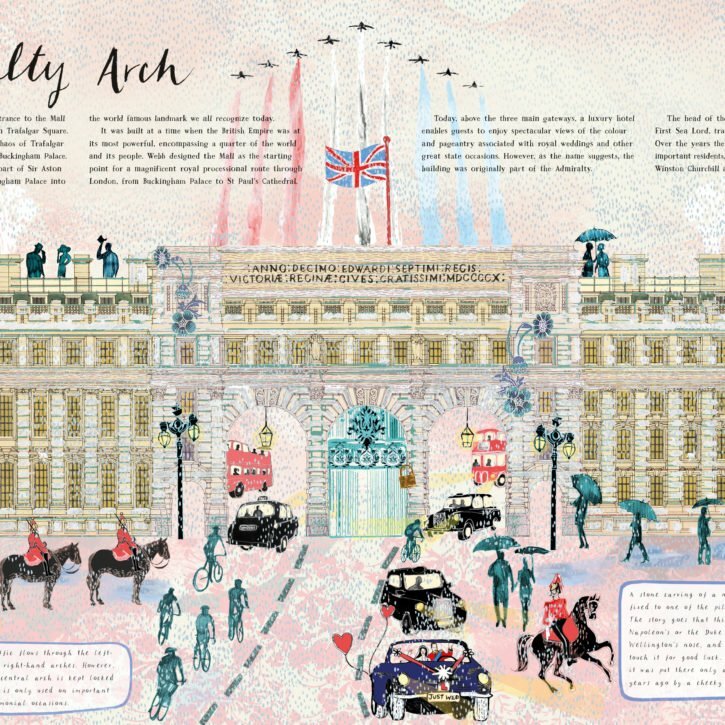 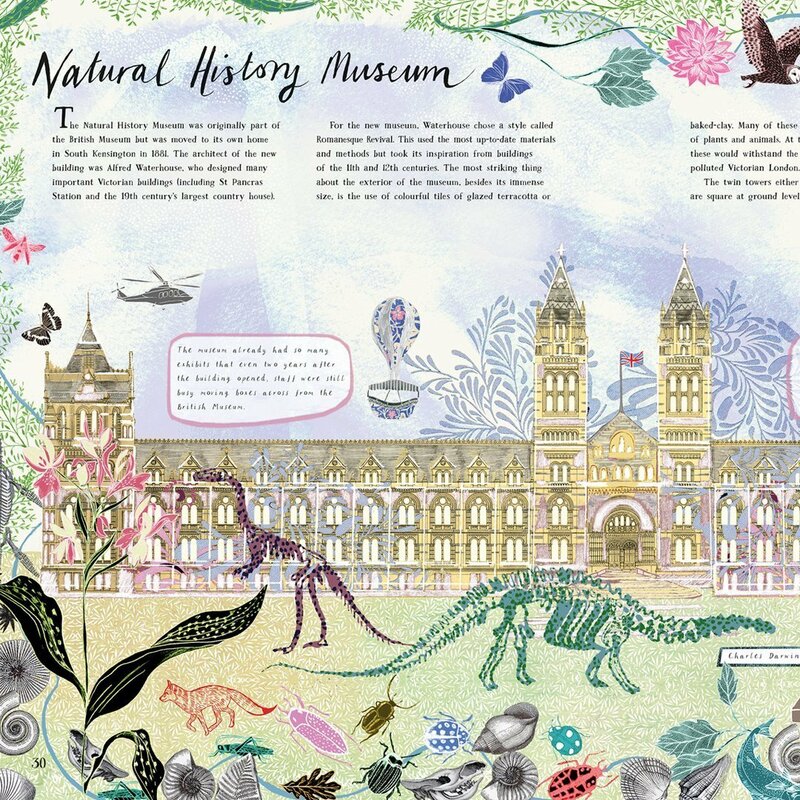 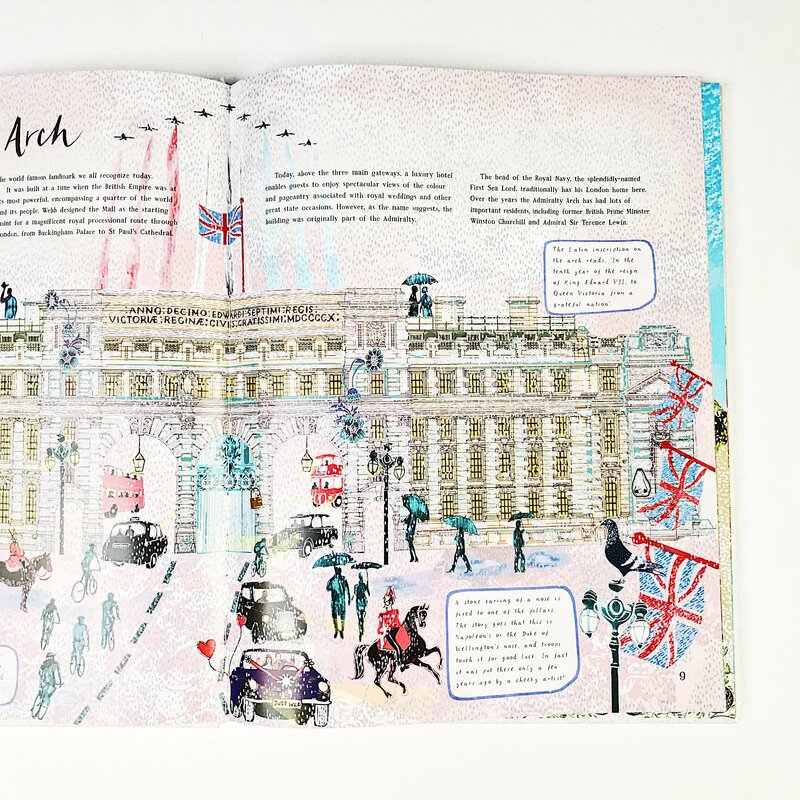 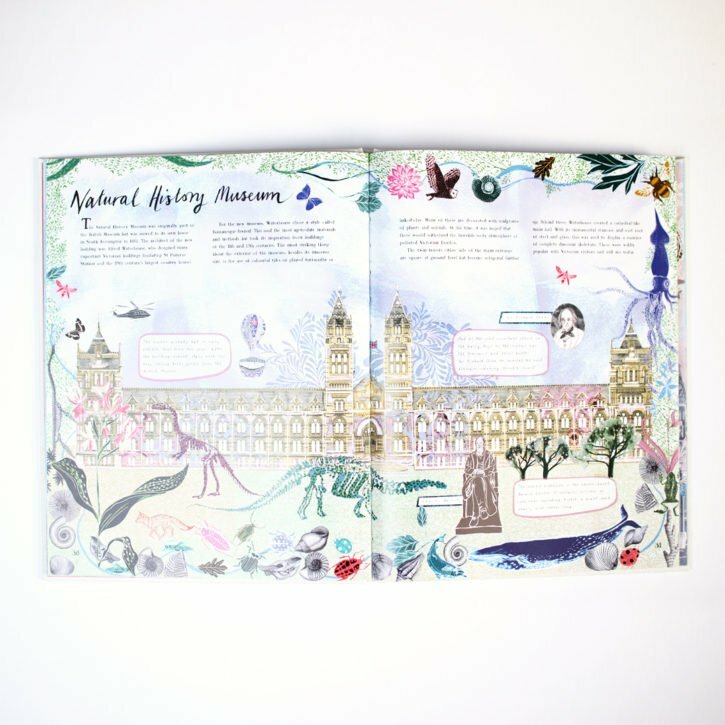 My first illustrated picture book, The National Archives: The Buildings That Made London is out now! I was asked to bring original architectural drawings from The National Archives to life with my artwork. 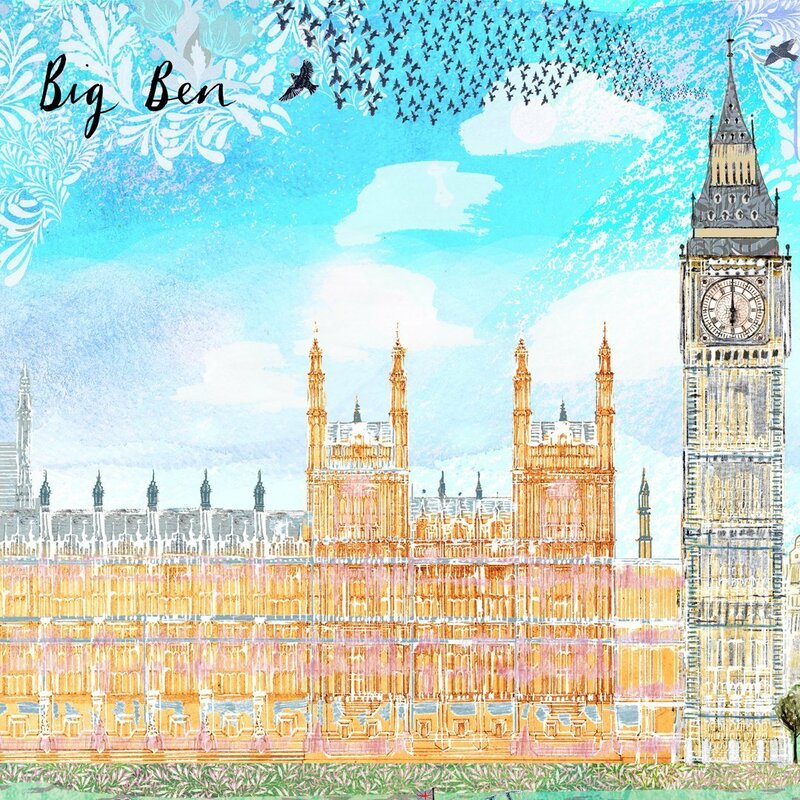 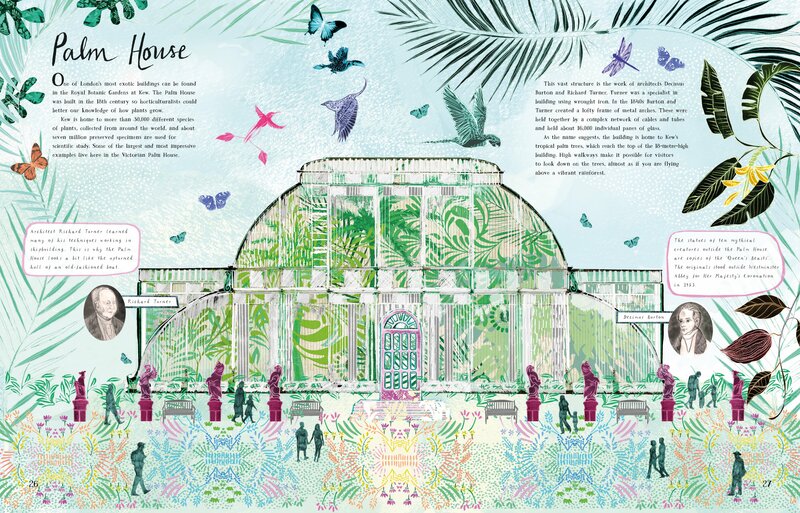 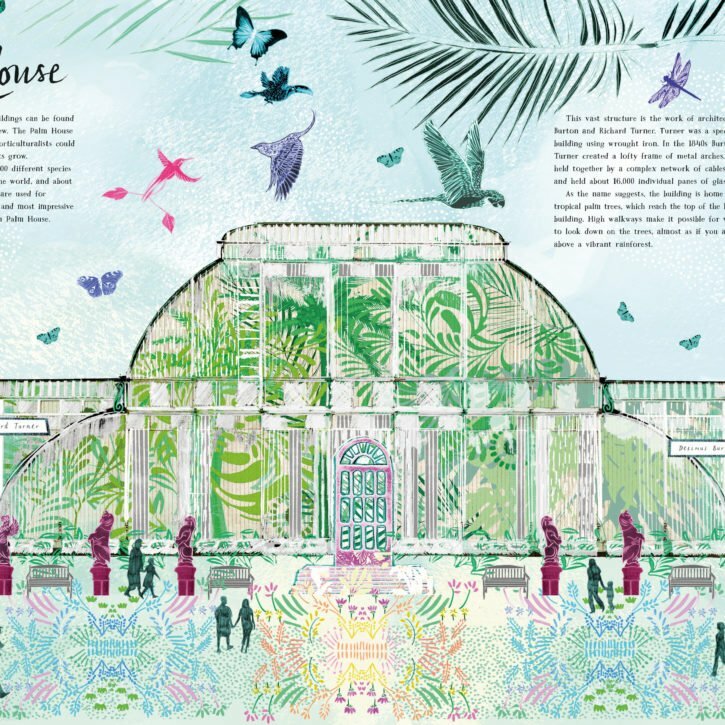 Watch Buckingham Palace transform from a large country house into an opulent palace, spot Henry VII playing tennis on the lawn of Hampton Court Palace and get lost in the Palm House at Kew, London’s very own tropical rainforest! 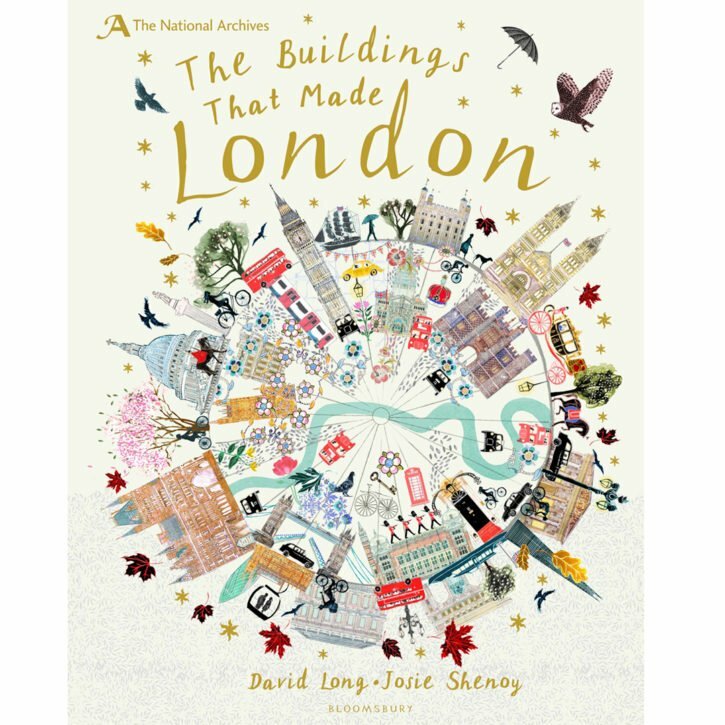 Bursting with facts to delight both children and adults, The Buildings That Made London is a non-fiction title, featuring text by historian David Long, and is published by Bloomsbury Publishing. 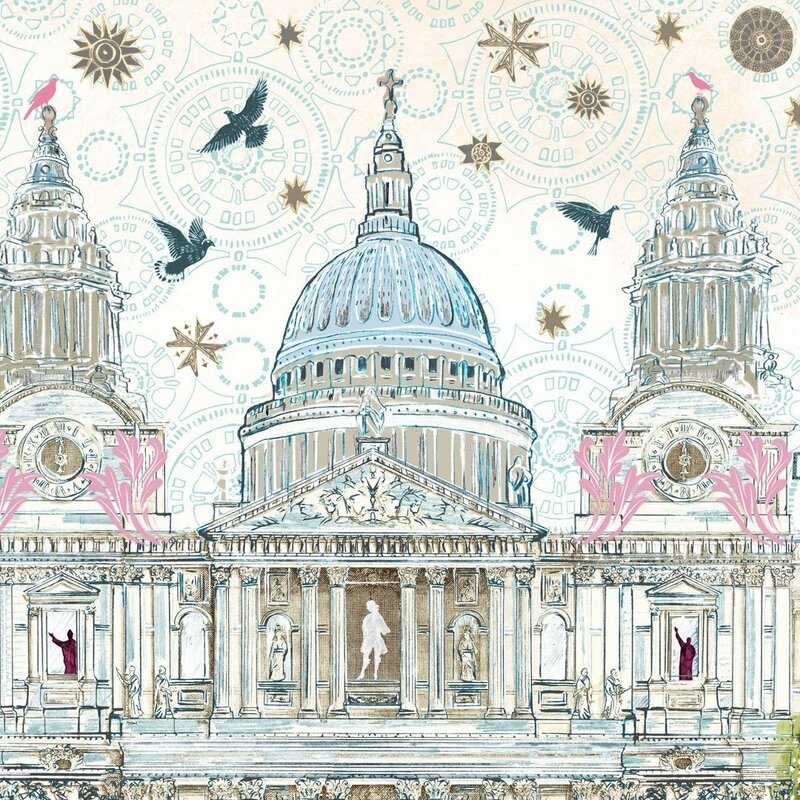 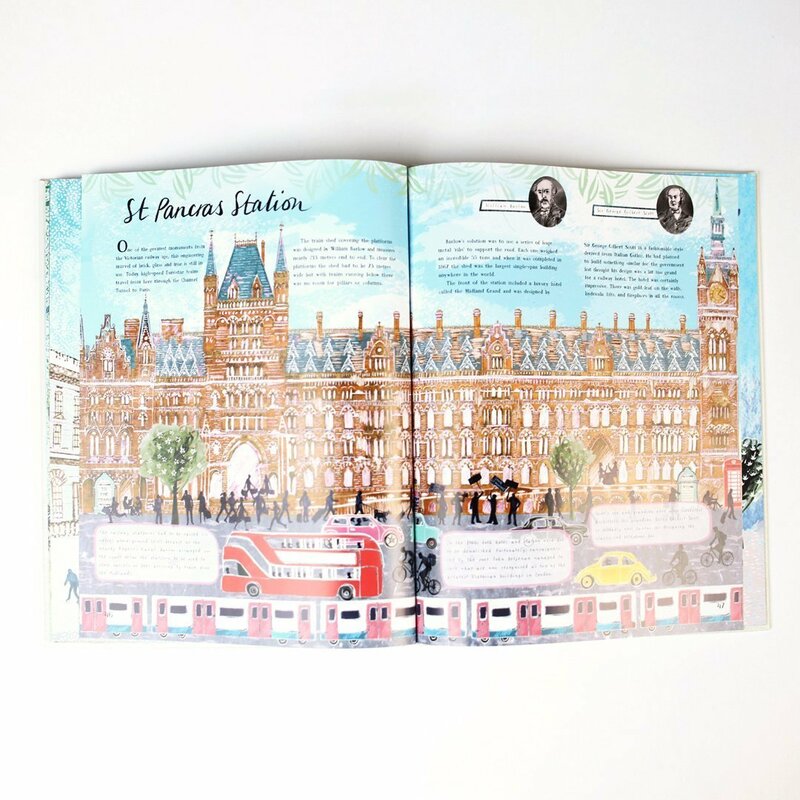 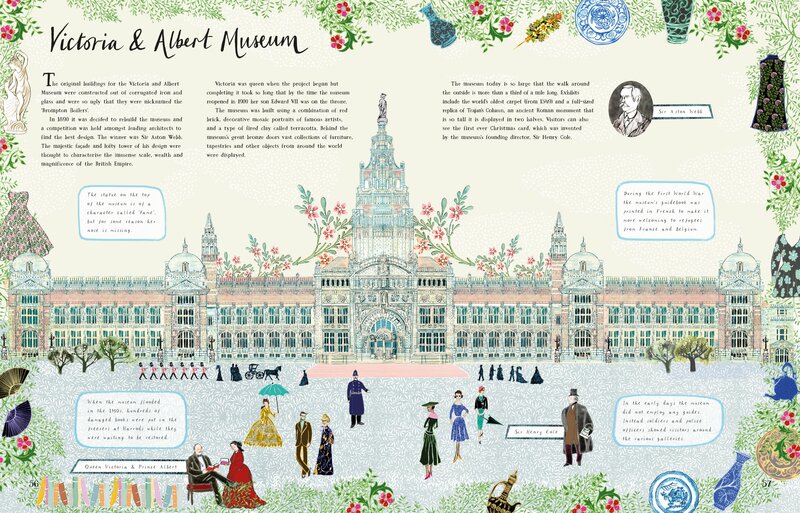 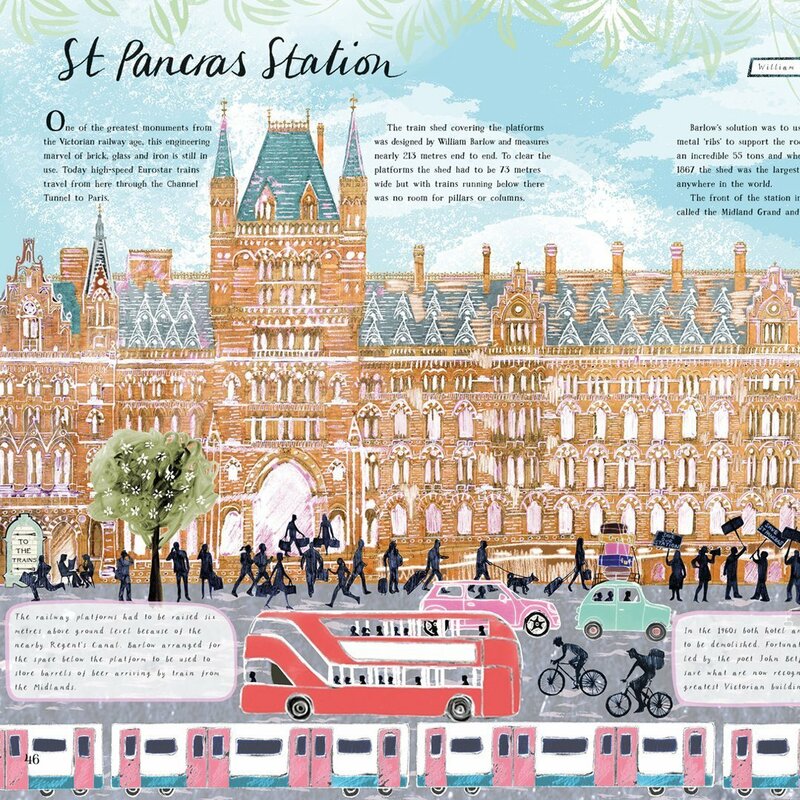 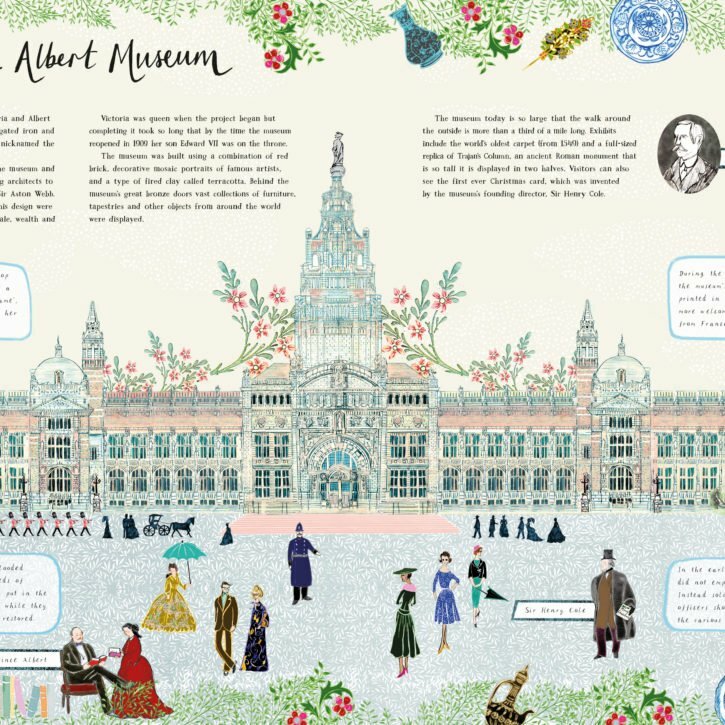 Bloomsbury describes the book as a historical kaleidoscope celebrating the magnificent buildings that made London. 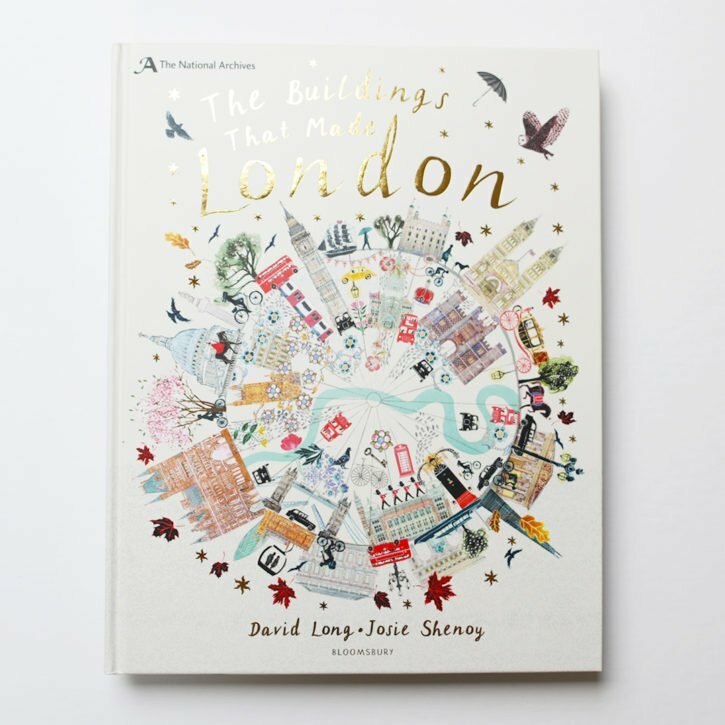 The Buildings That Made London has now been shortlisted for the World Illustration Awards 2018.